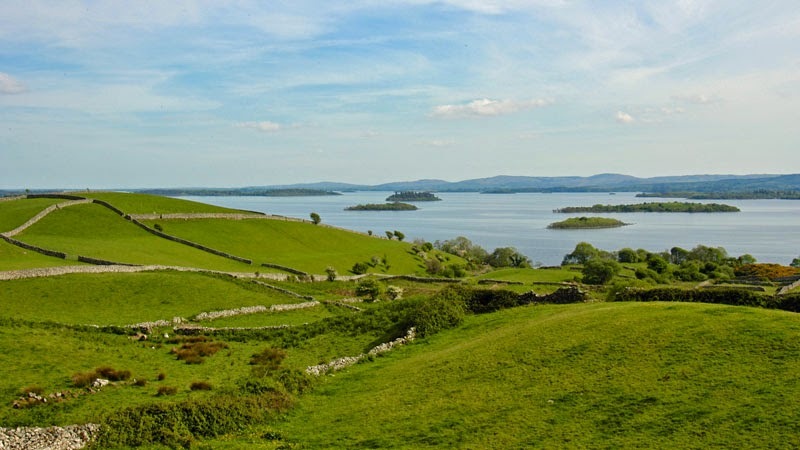 This driving loop brings you to the heart of the Lake District and, on your journey, you will pass by three beautiful lakes: Lough Carra, Lough Mask and Lough Corrib. The drive starts from Castlebar, leave the town on the N84 for Ballinrobe. After 11km you can stop at Ballintubber, a picturesque village nestled at the foot of the Partry Mountains. 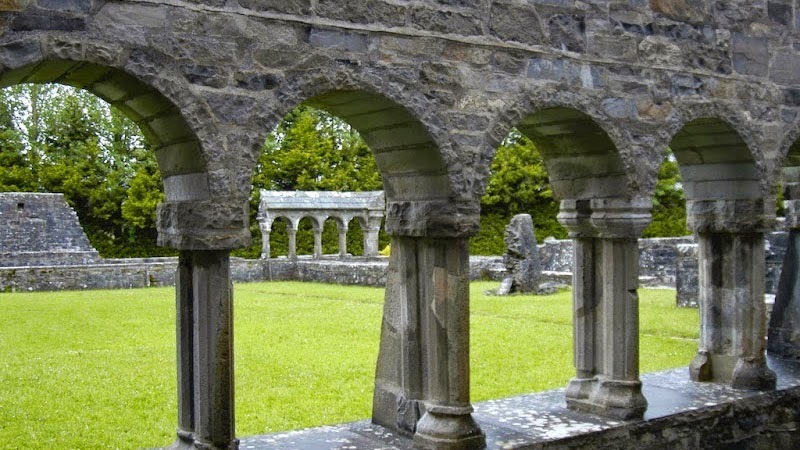 Ballintubber Abbey was founded in 1216 by King Cathal O'Conor. 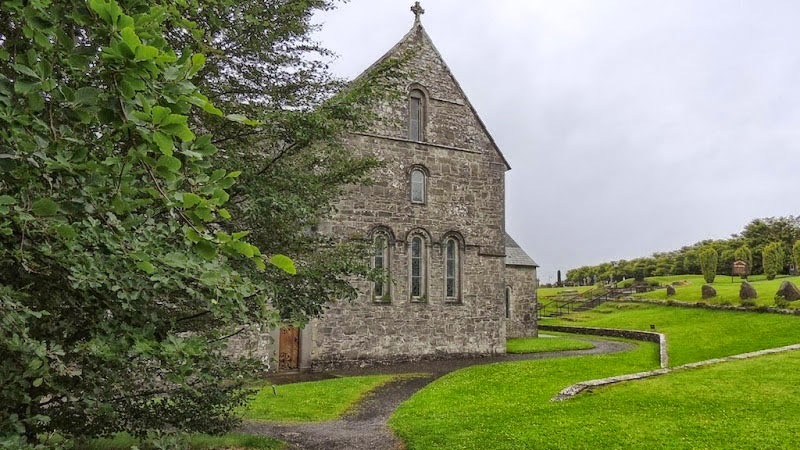 It is the only church in Ireland still in daily use that was founded by an Irish king. It is known as "the Abbey that refused to die". Through its many vicissitudes, including burning by Cromwell's army in 1653, the Abbey has remained a place of worship despite years of continuous attacks and religious repression. Pilgrims set out from the Abbey on the ancient pilgrim route, Tochar Phadraig, and journey some 22 miles to Croagh Patrick. Continue on for Ballinrobe towards Partry. 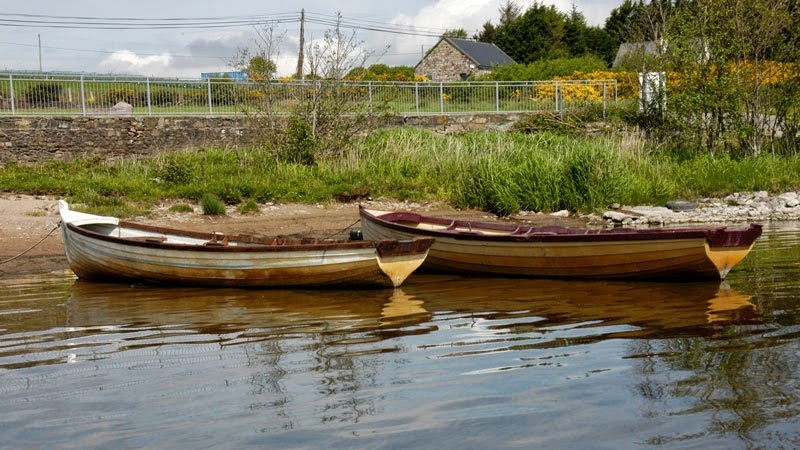 The village of Partry is nestled between the two Mayo lakes, Lough Carra and Lough Mask. Both lakes are popular with local anglers and also offer stunning views. 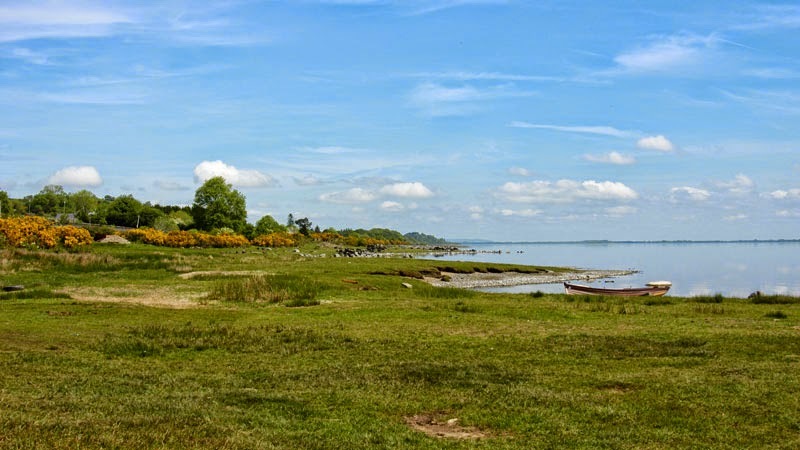 The countryside is undulating, made up of farmland, bog, and some scrubby woodland, with rocky outcrops and shorelines. There are also a number of historical buildings in this area such as Moorehall. Next stop is Ballinrobe. Located in the heart of the lake district of South Mayo, on the banks of the river Robe, Ballinrobe is a thriving market town. It is renowned for its championship 18-hole parkland golf course at Cloonacastle Estate and its very old tradition of racing. From here take the R334 to Cong. Between the village of Neale and Cong is the plain of Southern Moytura. According to legend this is the prehistoric battlefield of the “Battle of Moytura”, where the tribe of the Tuata de Danann defeated an even more ancient Irish tribe known as the Fir Bolgs. The area abounds in cairns, stone monuments and stone circles erected over a long period of time, possibly from the Neolithic to the Iron Age. 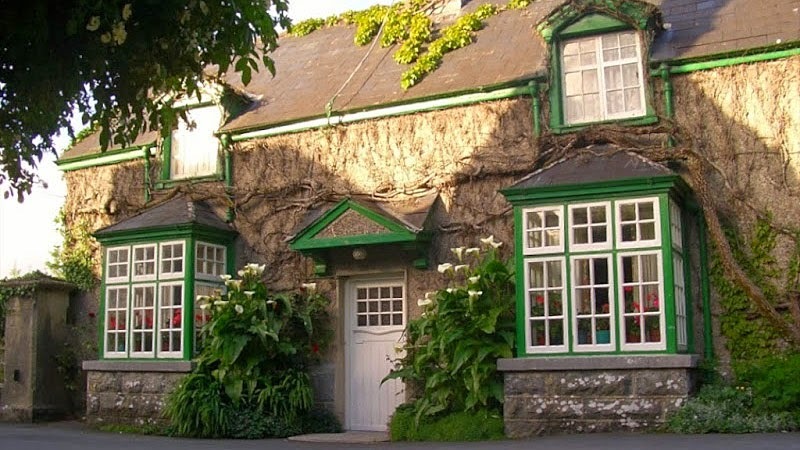 Moytura is also the place where the great Irish writer Oscar Wilde spent a lot of his summer holidays as a youngster. Wilde's father, Sir William had a country residence in this picturesque part of Mayo. 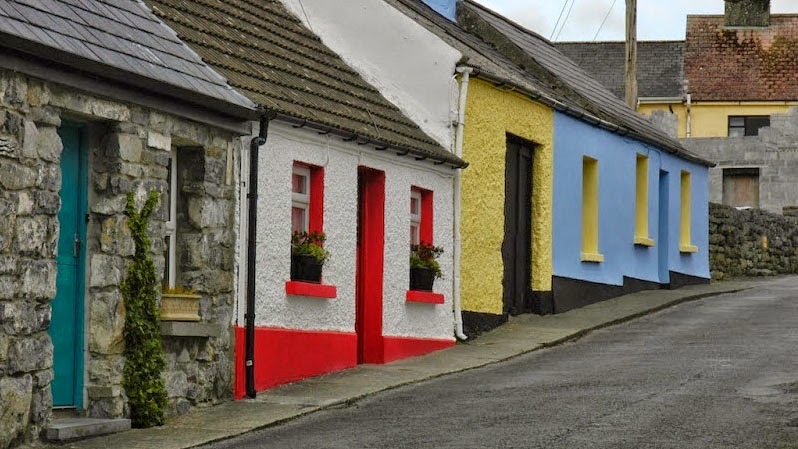 Cong is a delightful village on the north-east shore of Lough Corrib. Park the car and take a stroll through Cong and its hinterland. 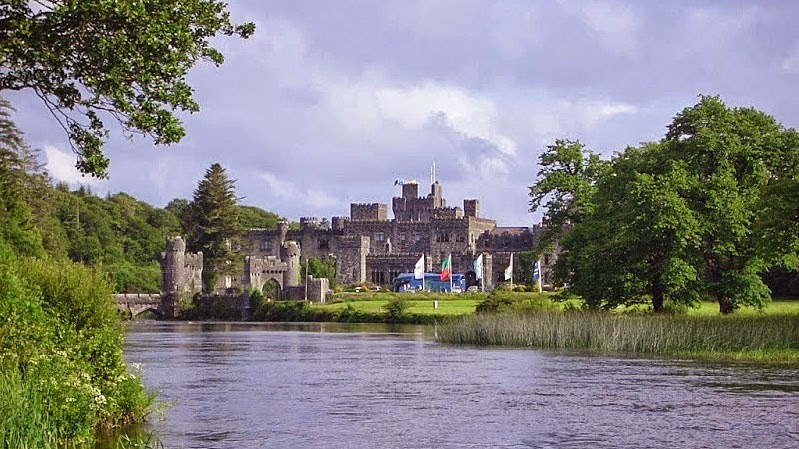 You will experiment a microcosmic trip through the history of Ireland and its people and enjoy tranquillity, walkways through woods, forests and shorelines of rivers and lakes. 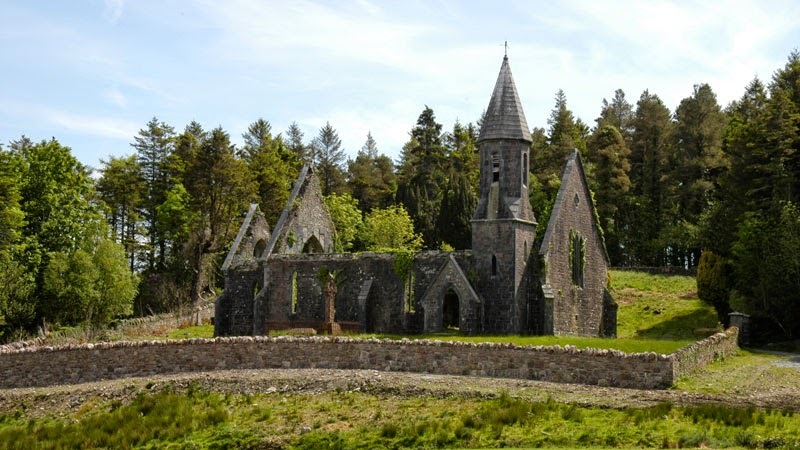 Cong is also most famous as the setting for the film 'The Quiet Man', which starred John Wayne and Maureen O'Hara and among the many places to visit here are the 12th century Cong Abbey, Ashford Castle, Cong Wood and of course locations associated with the film. Continue on to Clonbur. 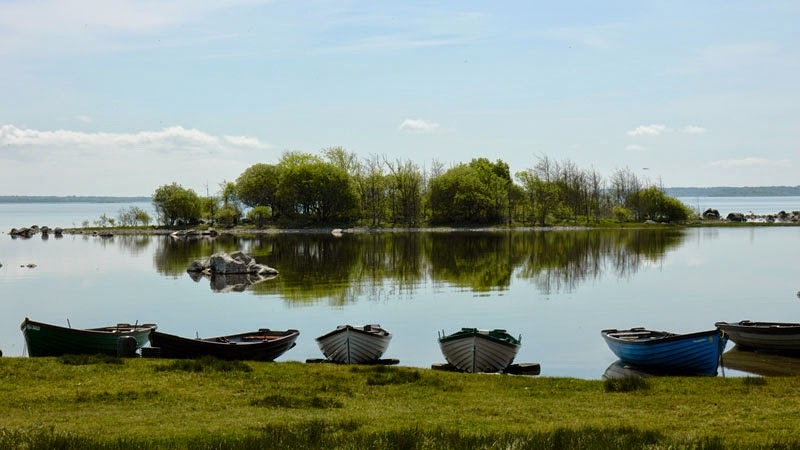 Snugly located between Loughs Corrib and Mask, the village of Clonbur is endowed with nature's richest treasures - lakes, streams, mountains and woodlands. Stop the car and enjoy its breath-taking beauty and rugged features. Nearby is another place of unique beauty, Lough Coolin, a small lake set like a gem in the foothills of Mount Gable. 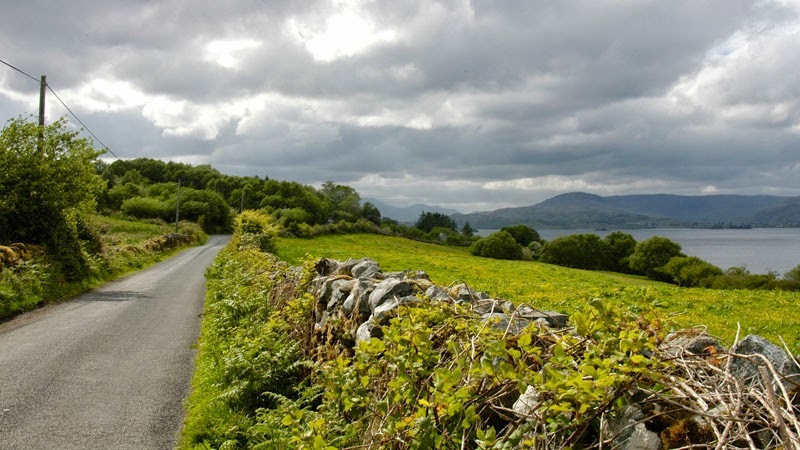 Drive on through Finney, through some excellent scenery, with Lough Mask to your right and Lough Corrib on your left. The Partry Mountains loom overhead as you approach Tourmakeady, a village on the shores of Lough Mask. 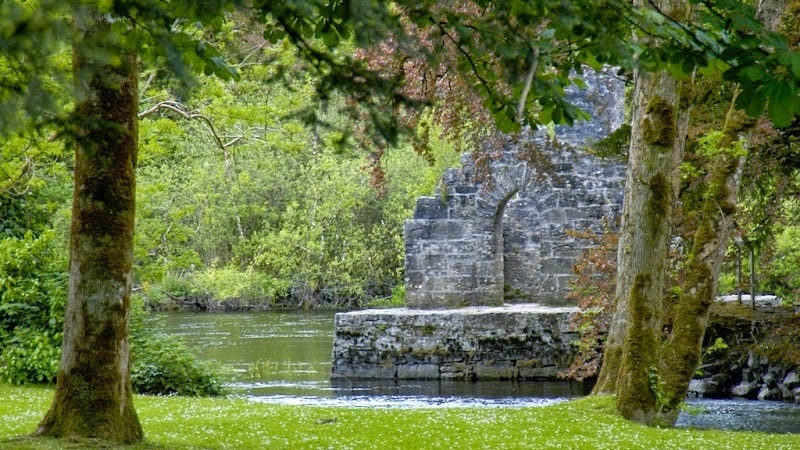 Tourmakeady demesne is a popular woodland area with car parking facilities, picnic site and woodland walks such as Tourmakeady Wood Walk, one hidden gem in this area of South Mayo. Follow a signpost for Tourmakeady Lodge, a small road leads up to a very beautiful Forest Trail through the woodland. At the end is a pretty waterfall where a stream tumbles down tall steps into a pool overhung by trees, ferns and heather-clad rocks. Return to the main road to Partry and back to Castlebar.